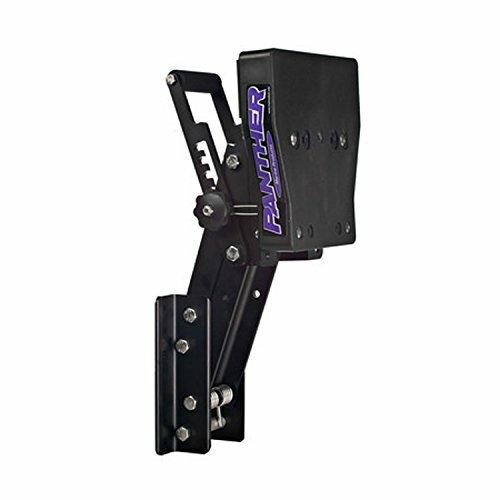 Adjustable outboard motor bracket works with 4-stroke motors up to 15 horsepower or 2-stroke up to 20 horsepower, maximum weight of 132 pounds. 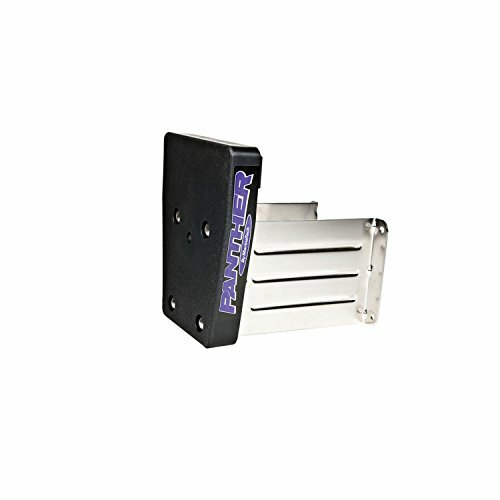 This black, hard-coat anodized aluminum bracket is built to handle the increased torque output of today's four stroke engines. Twist-knob safety locks provide increased torque rating while helping secure bracket in place. Motor's weight is counterbalanced by heavy-duty stainless steel torsion springs for easy lifting. Boasts a 2 inch thick, extra-wide, weatherproof and maintenance-free polypropylene mounting board along with aircraft-type stainless steel hardware. Four-position lock bar and 10 inch of travel allows for better range of trim adjustment letting you fine tune motor height for optimal performance. Rated for long or short shaft engines. Reminder: Because there may be different types of shooting errors, the product size will be measured manually and an error will occur.an error will occur. Customer is God. We spare no effort to provide customers with satisfactory service. Minn Kota Bracket & Hinge Assembly Part# 2991815A This is the complete hinge assembly that fits most trolling motors with a round 1-1/8" diameter shaft. It fits the Minn Kota Camo, Classic, Endura, Maxxum (55 lb thrust and under), Riptide (55 lb thrust and under), Turbo, and Vector models with the Lever Lock Bracket. Heavy duty with reinforced welded frame and stamped stainless components. 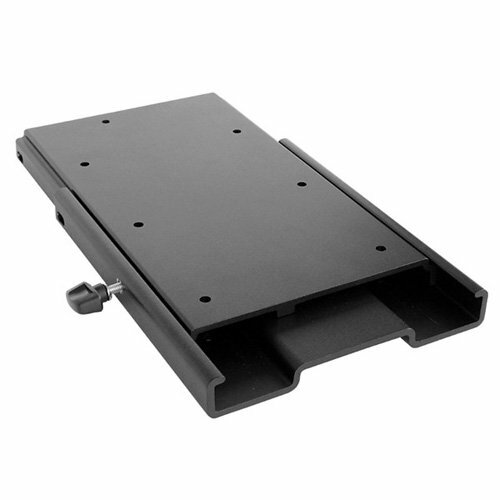 Solid polypropylene mounting board, Wide track body for added stability. 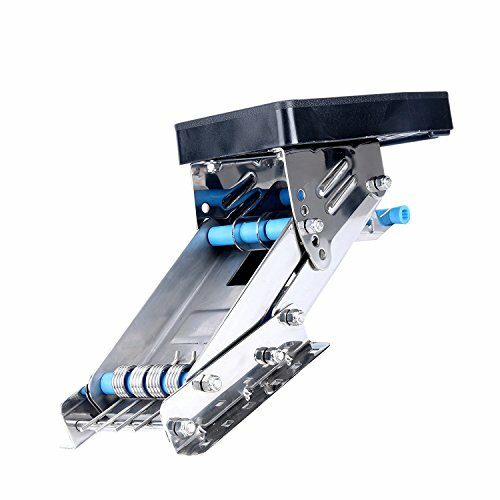 Stainless steel, spring loaded 4 vertical position) adjustable bracket. Suits 2-stroke motors 7 1/2 - 20 HP, with a maximum weight of 52kg (115lbs). Easy to lift and lower - Stainless springs help counterbalance motor weight. Minn Kota Bracket & Hinge Assembly Part# 2771818. This is the complete hinge assembly that fits most trolling motors with a round 1-1/8" diameter shaft. It fits the Minn Kota Camo, Classic, Endura, Maxxum (55 lb thrust and under), Riptide (55 lb thrust and under), Turbo, and Vector models with the Lever Lock Bracket. 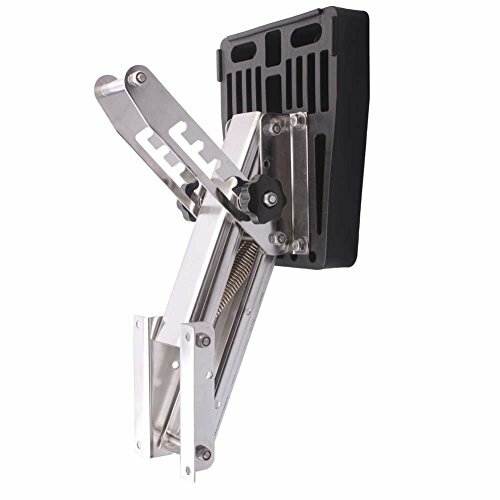 Capacity: 110 lbs, Vertical Lift: 10.5"
PANTHER 4-STROKE AUXILIARY OUTBOARD MOTOR BRACKET Durable black-anodized aluminum bracket. 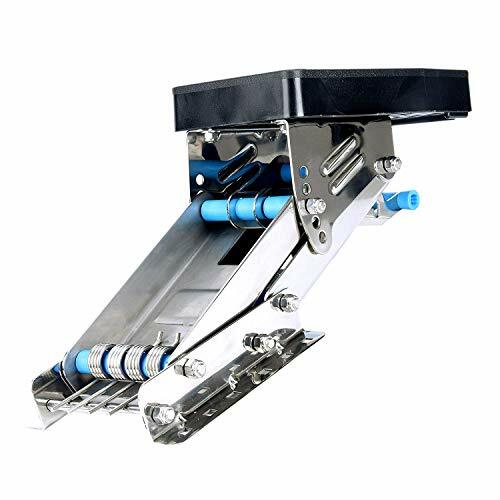 Adjusts trolling or auxillary motor to 5 vertical runningpositions for changing water or load conditions. Hand-adjustable w/turn of knob. Features stainless steel torsion springs to counter- balance motor weight for easy adjustment. 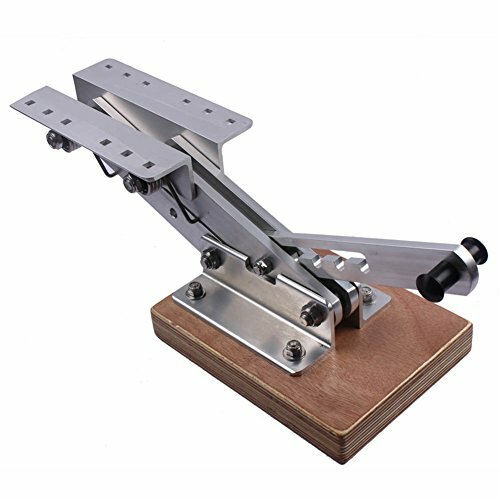 Includes 2 " thick extra-wide polypropylene motor mounting board w/aircraft-type stainless steel hardware for heavy-duty performance. Includes: motor safety cable. Requires: backing plate stainless steel nuts & bolts. Handles up to 30hp w/10'' of travel. For quick, easy removal of your electric-steer, bow mount trolling motor. Extruded aluminum design with side screw provides quiet and secure locking system. Compatible with Ultra, Serova, Power Drive, Power Drive V2, Power Drive Pontoon and Deckhand 40. Quick and easy installation. Constructed from quality materials. Refer to manufacturer recommendations to ensure proper usage. These plans will show you how to build your own outboard motor cart. This outboard motor cart has everything. 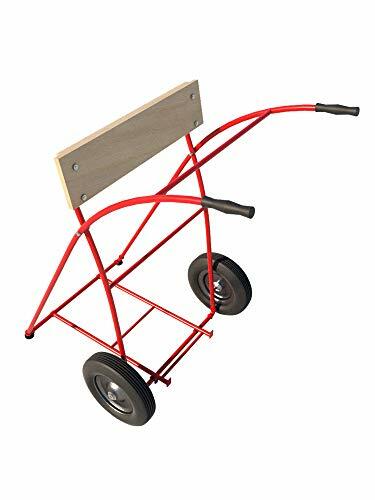 It's strong enough to handle a 40-horsepower engine; it's rigid enough to allow it to be used as a repair stand, even to cranking; it hauls a gas tank, with room left for a tool box; it's so well balanced that a child can move a big engine easily; and it folds compactly in 10 seconds by removing one pin which also locks it in the folded position. What's more it's light, easy to build and cheap. I will mail you hard copies on 8 1/2 X 11 paper.. All plans are designed by Ben Stone. Ben is a retired Engineer in Canada. Ben also drafts these himself using the latest AutoCAD software to ensure accuracy. He studied Engineering back in the early 1980's. After over 30 years in the Construction industry he developed a passion for building cool items around his farm and cabin. These are great DIY projects. With a little skill anybody can Do It Yourself. Ben is always a email away if you have any questions while building one of his projects. He is adding new plans all the time. 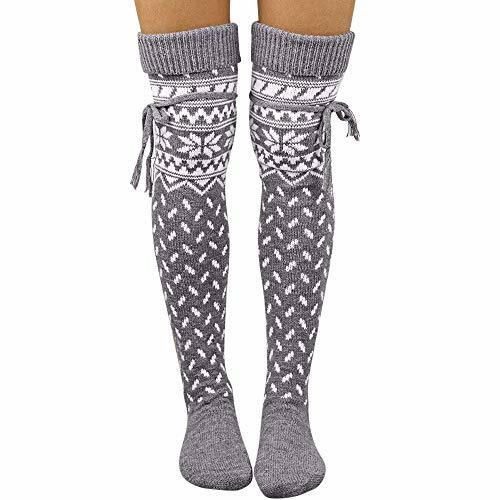 These would be perfect for christmas,very colorful and comfy, or given as a christmas present and they were very well accepted.Brighten up your holiday!christmas style designs, ugly christmas crew cozy socks, holiday casual long cool socks, novelty cute sherpa-lined thermal slipper socks, women/men crazy christmas knee high socks. Fits most style of 2-stroke outboard motors; not recommended for 4-Stroke motors. 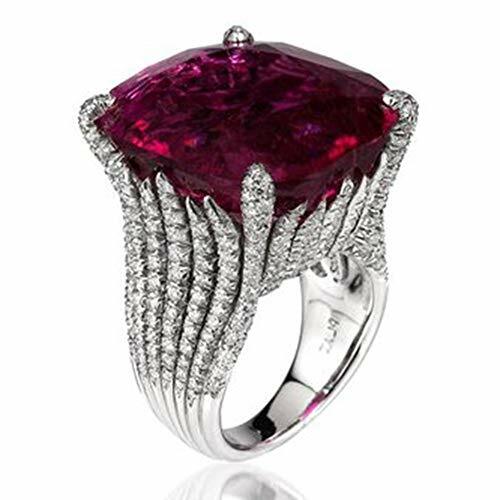 If not 100% completely satisfied with our item, simply contact us to request a refund or exchange. 3 month money back/replacement guarantee, 24 months product defect free replacement warranty. Applications : Fits most style of 2-stroke outboard motors; not recommended for 4-Stroke motors. Note : please be careful of the sharp edge when you install;Please feel free to contact us if you have any question about the product. We would try our best to solve any problem for you. 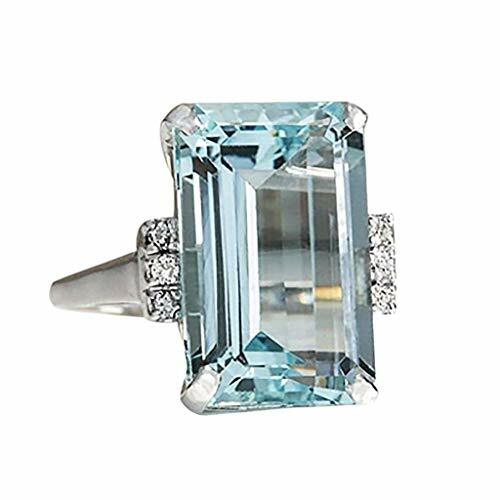 Wish you have a good shopping experience. The Panther 55-0028 Fixed-Mount 4-Stroke Outboard Motor Bracket works with two and four-stroke motors up to 35 HP and 263 lbs. maximum weight. It features a rugged polypropylene mounting board. Includes stainless steel mounting hardware and a safety cable. Designed specifically for use in a marine environment. Protects transom: motor and steering components from road shock while trailer is in use. 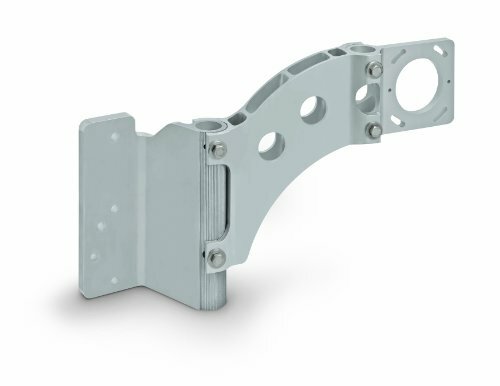 Our universal fit bracket adjusts from 34 to 46 and comes with both roller and trailer mounting hardware. The cast aluminum head has side pads as well as a keel pad for lower unit protection. Easy to install and comes with a 10 motor strap and 5 trailer strap. Clam pack. Just like Talon locks you to your spot in the water, our mounting and adapter brackets keep Talon locked on your boat in any condition. Unparalleled strength combined with an innovative modular design, so it s easy to select the right mount and get Talon rigged up on any boat. With the anchoring power of Talon on your transom, you d better have something to keep it all in place. Our uncompromising brackets do just that and then some. Made of extruded aluminum and reinforced with rugged construction, our brackets hold Talon steady whether you re trailering or tearing through heavy chop. We don t just build them strong, we build them smart. 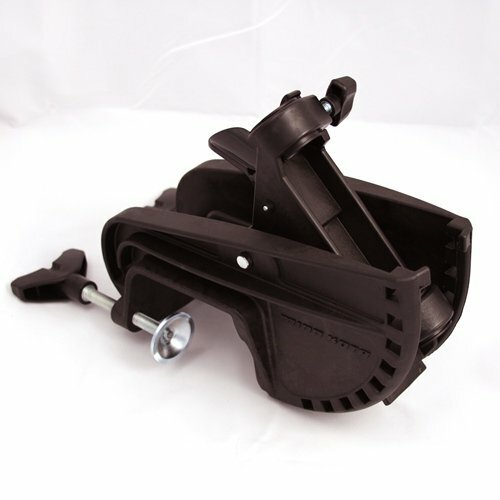 Minn Kota s unique mounting brackets enable Talon to adjust up and down or pivot up to 30 to accommodate any transom angle. That means you can easily adapt Talon to fit any boat, and any situation. You can also easily remove it when not in use for added security. All mounting and adapter brackets carry a five year warranty. Note: Only compatible with new Universal Modular Adapter Brackets. Transom mount locks and holds the outboard motor up or lowers the motor down for propulsion. The completed installation should result in the cavitation plate of the outboard motor being parallel to the surface of the water. The height of the outboard bracket on power boats should be localted so that the cavitation plate is nearly flush with the bottome of the boat immediately forward of the engine being mounted. - 3-Blade are designed for efficiency. - Added cup provides superior holding in turns and heavy seas. - Aluminum alloy is very durable and not easily damaged,getting harder and stronger with age. - Easy to maintain and repair. 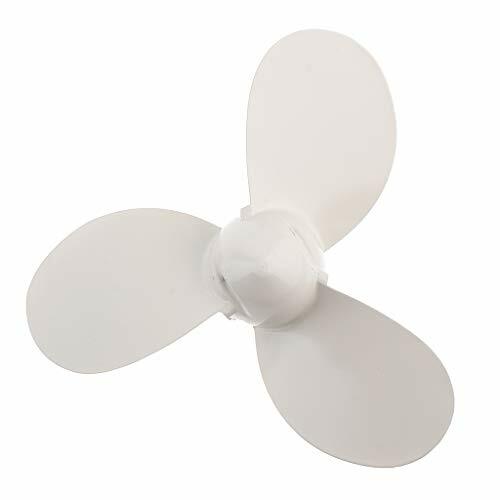 - Best-performing, most-durable marine propellers. 3-Blade are designed for efficiency. Added cup provides superior holding in turns and heavy seas. Aluminum alloy is very durable and not easily damaged,getting harder and stronger with age. 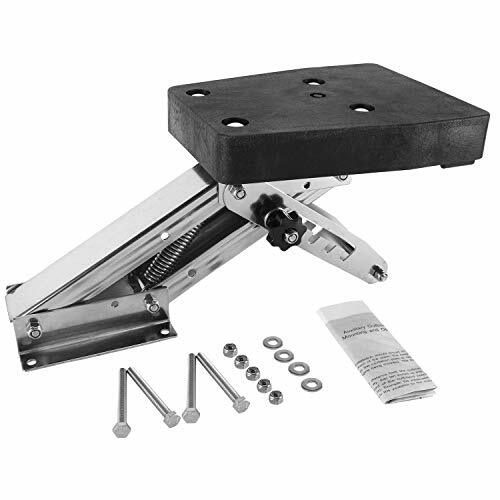 FXJ TOURNEY PRO MOTOR SUPPORT Protect your transom, motor and steering components from road shock & vibration when trailering Adjustable from 24"to 36" Constructed with high-strength aluminum Includes bolt-on and over-the-roller brackets. California Residents: WARNING Cancer and Reproductive Harm - P65Warnings.ca.gov. 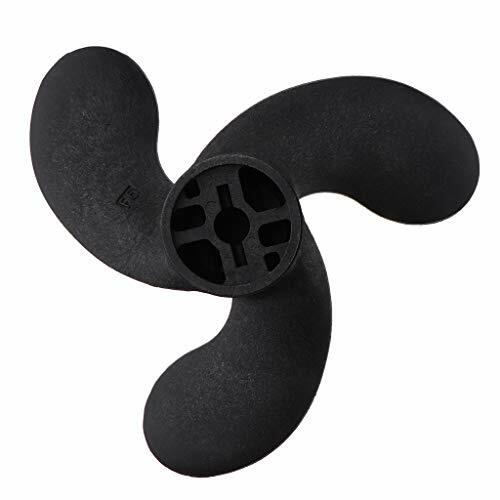 - Made Composite Plastic Material, long lasting finish. - Tuned Vents for Fast Hole Shot. 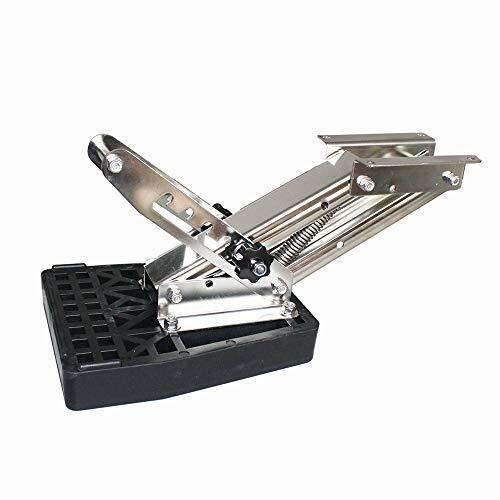 - Improve Handling and Boat Lift. - A good choice for Tohatsu 2.5HP 3.5HP / Mercury 3.3HP / Johnson Evinrude 3.3HP Boat Motor. 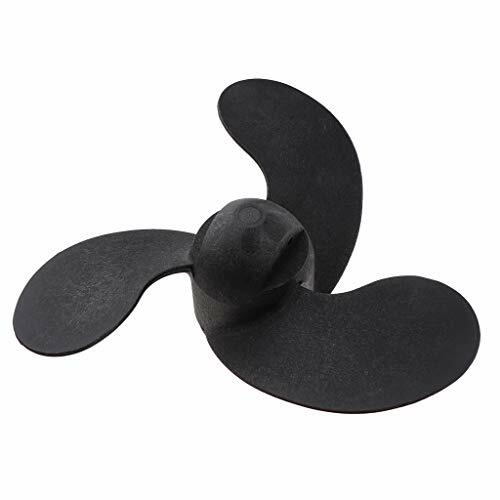 - Good design, high quality, and perform well, lightweight motor propellers. - (2)Fit for Johnson / Evinrude 3.3hp outboard motor. - (3)Fit for Nissan / Tohatsu 2-stroke 2.5hp and 3.5hp outboard motor. it replace Tohatsu Part No. : 30964-1060M 309-64106-0. (2)Fit for Johnson / Evinrude 3.3hp outboard motor. Made Composite Plastic Material, long lasting finish. Tuned Vents for Fast Hole Shot. Improve Handling and Boat Lift. A good choice for Tohatsu 2.5HP 3.5HP / Mercury 3.3HP / Johnson Evinrude 3.3HP Boat Motor.